​Dated circa 1160, this landmark structure was formerly a two-storey gatehouse. 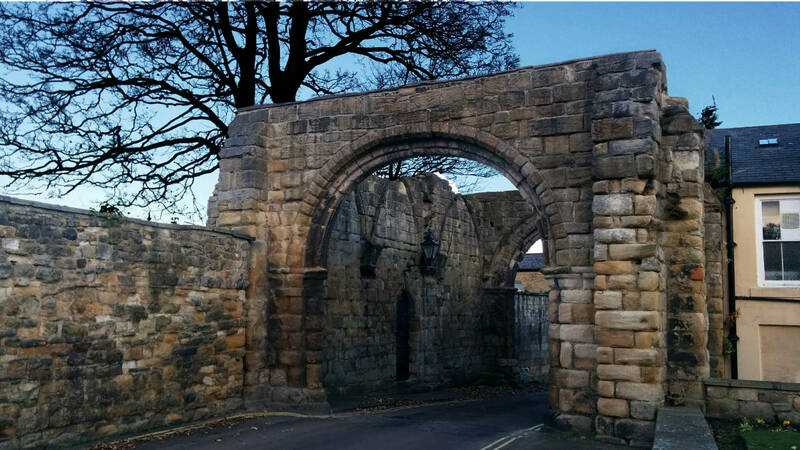 This large stone archway on Cowgarth, leading off Market Street, is all that remains of the main Priory Gatehouse, where the canons defended the priory of Hexham against Henry VIII’s men in 1536. The upper storey and vaults were destroyed in the early 19th Century, leaving only the archway, wall ribs and corbel. Be sure to include it in a stroll through the Abbey Grounds.